Time to channel your inner Sasha, pop down to Aldi in your orange jump suit and run the world. We'll be paying tribute to the queen of earth for 90 mins, offer up your allegiance with us and the Moho All Stars. 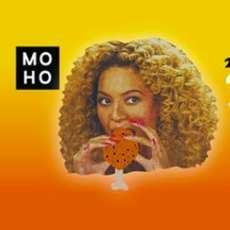 Expect all the Moho goodness either side of Bey. If that wasn't enough we'll be linking up with Only Jerkin Sound System in unit 4 for all them warm riddims. not only are they the best dressed chicken in town, they know how to make the party bang! Alongside the OJSS residents will be Brum's finest, Timma T and Young Culture.